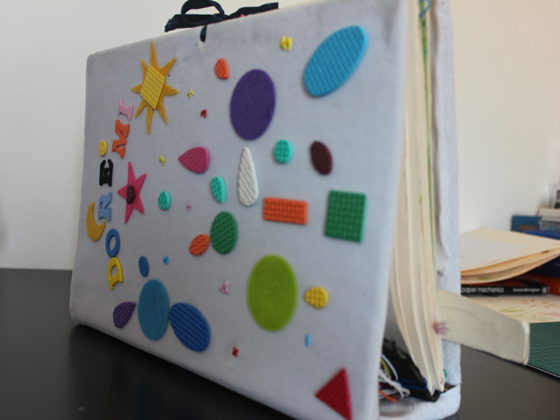 Inspired by the work of Munari, Montessori and her mum, Antonella Nonnis followed her personal interest in building tangible interactions and working children in general and recently built an unusual diy pop-up book. 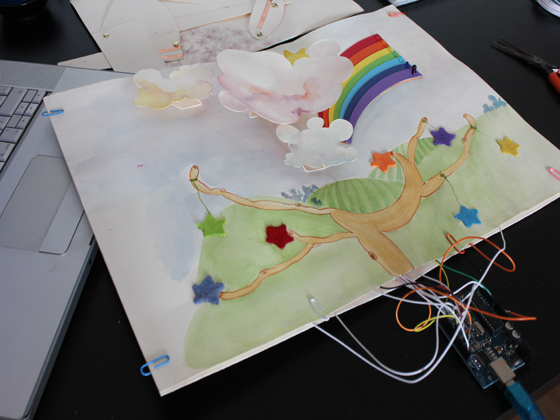 The pages have been done using recycled materials that I collected during these years in London (paper, fabrics, LEDs, resistors, wires, foil paper, glue, cardboards) and it’s powered by two Arduino Diecimila, one that controls the paper Pop-up Piano and the other is for controlling the Arts and Science Page, while the Math page runs autonomously with 2 3V cell batteries. The two Arduino run with two 9V batteries although they are more stable if they run with the USB through the computer. 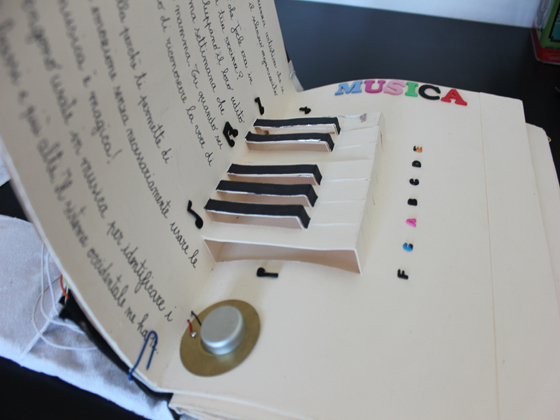 The book was completed after the successful experimental page containing an electronic pop-up piano, Antonella gave as a birthday present to her 6-year-old niece Matilde. Take a look at more pics visiting Antonella’s project page.